A common investigative technique in law enforcement is to collect fingerprints at the scene of a crime. At the time of collection, it’s not known who those fingerprints belong to, so the goal is wholesale collection for later analysis. Those fingerprints are later matched against a database of fingerprints with known owners to identify specific people. 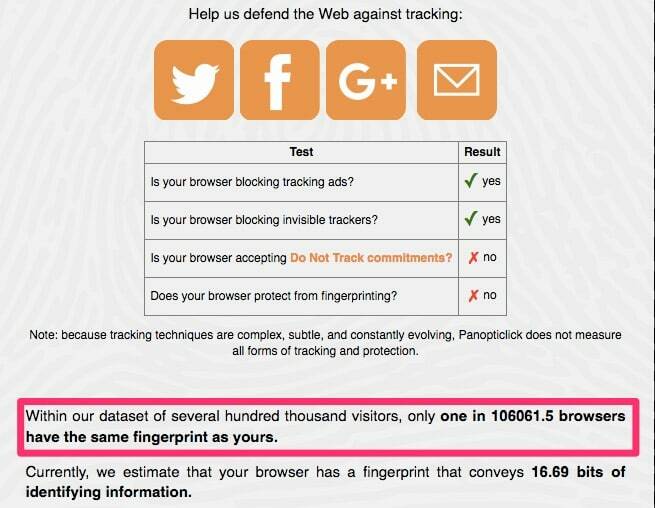 Browser fingerprinting, a.k.a. canvas fingerprinting, works in the same way: the wholesale collection of as many browser identification points as possible at a website that can then be later matched against the browser characteristics of known people. In both types of fingerprinting, analysis may not reveal the identify of a person but can still show that the same person performed different activities. Most privacy enthusiasts are aware that the primary way in which they can be identified online is through the use of their IP address. TCP/IP, the protocol suite that the internet uses, necessarily requires that your IP address be sent with every request in order for the web server to know where to send the response. Virtual Private Networks (VPNs) have become popular over the past few years as a way to hide your real IP address by borrowing an IP address from your VPN provider that is shared by many people. This effectively hides your real IP address. Traffic in the web server’s log simply shows the VPNs IP address. But what else does your browser send that a VPN cannot scrub out? Much of that depends on your browser configuration, but some of it simply cannot be helped. Correlating the data in your browser’s requests can allow someone to identify you, even if you’re using a VPN. Website access logs on the server can collect data that is sent by your browser. 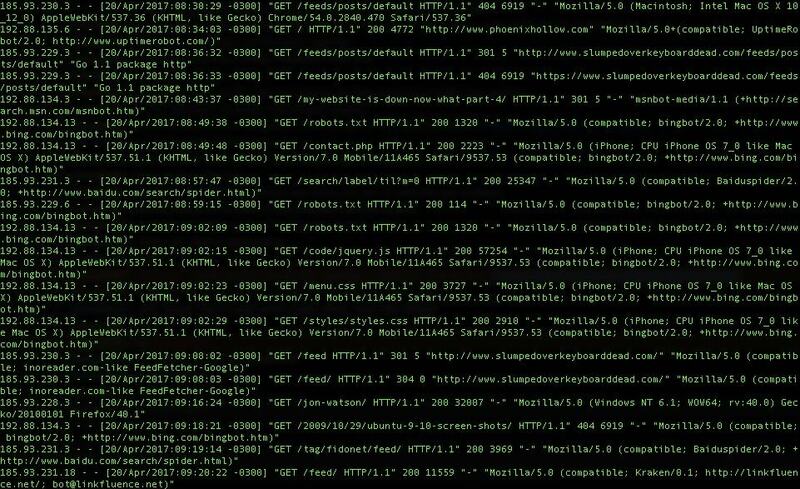 At a minimum, that is usually the protocol and URL requested, the requesting IP address, the referer (sic) and the user agent string. 11.22.33.4 - - [18/Apr/2017:08:04:17 -0300] "GET /using-expressvpn-with-ubuntu-linux-mint-or-debian-linux/HTTP/1.1" 200 12539 "-" "Mozilla/5.0 (Macintosh; Intel Mac OS X 10_12_4) AppleWebKit/603.1.30 (KHTML, like Gecko) Version/10.1 Safari/603.1.30"
Mozilla/5.0 (Macintosh; Intel Mac OS X 10_12_4) AppleWebKit/603.1.30 (KHTML, like Gecko) Version/10.1 Safari/603.1.30"
If I load the same page using Chrome, the only difference is that user agent now shows as Chrome. The log shows the same IP and the same operating system. Two points are not enough to draw a concrete comparison, but it is enough to indicate that these two requests could have come from the same person. 11.22.33.4 - - [18/Apr/2017:08:05:36 -0300] "GET /using-expressvpn-with-ubuntu-linux-mint-or-debian-linux/ HTTP/1.1" 200 12581 "-" "Mozilla/5.0 (Macintosh; Intel Mac OS X 10_12_4) AppleWebKit/537.36 (KHTML, like Gecko) Chrome/57.0.2987.133 Safari/537.36"
Web servers can also be configured to log much more data in its access logs by using log format specifiers. and more. The entire list of what Am I Unique collects is here, and more is possible. When using a VPN, the only data point that changes is the requester’s IP address. Am I Unique shows that it can collect 21 points data points, not even including the three data points from the server logs. Therefore, using a VPN to change one point of data (your IP address) still leaves 23 points of data for comparison. There is no global standard for human fingerprinting in law enforcement, but certainly any fingerprint with 23 matching points would be considered hefty evidence. Update: Firefox has announced that it will block websites’ canvas fingerprinting attempts starting with version 58. You’ll notice in the graphic above that the canvas information from my browser puts me in a pretty small pool of browsers. 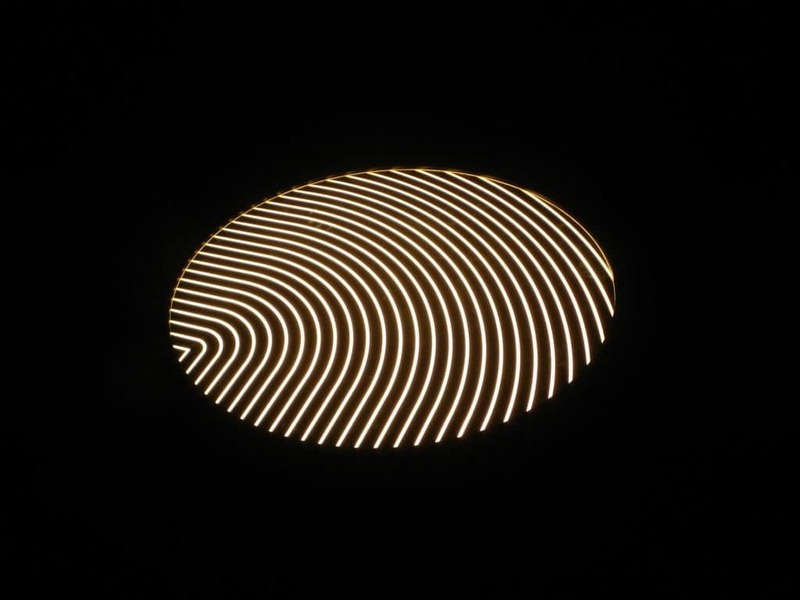 By issuing specific canvas requests to a browser and hashing the results, websites can narrow that down to a very unique fingerprint. Starting with Firefox 58, the browser will prompt users to approve canvas requests prior to allowing them. Most privacy-minded people are of the mindset that the less information you provide, the better your privacy will be. This is true only in a world where you can opt to not do things. For example, if I don’t want to have any personal information on Facebook, then I choose not to use Facebook. However, it’s virtually impossible to not use the internet at all these days, so you’re necessarily going to leave fingerprints behind. Therefore, the goal here is to make it difficult for your private activities to be correlated to your public activities. Maintaining this separation prevents anyone identifying you, personally, with data from activities you’d like to keep private. It’s important to note that there is really very little fingerprinting data available to test with. While there are a number of sites such as Am I Unique (352,000 records at this time), Panopticlick (470,161 records), and others, they have a relatively small amount of data to work with. As well, it’s likely that most of that data came from privacy-minded users rather than the general internet population, so the stats are probably not very reflective of the average internet user. 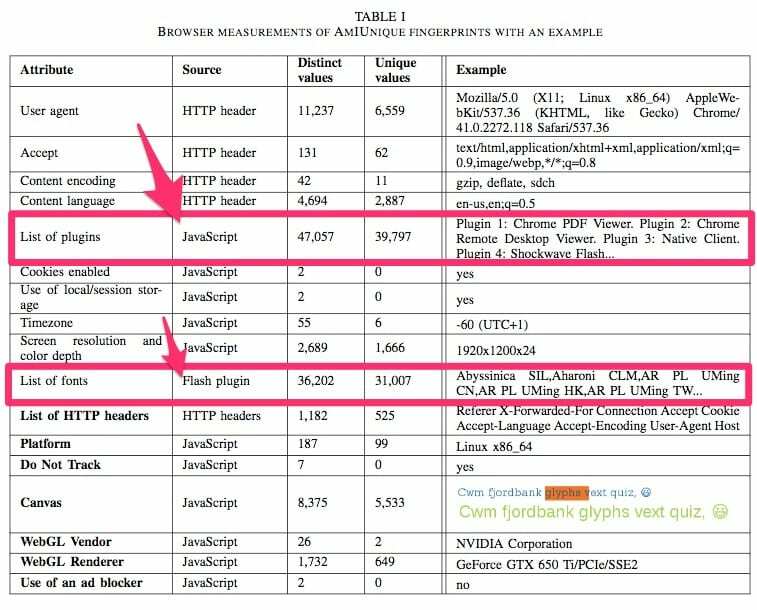 The real danger comes from the possibility that sites like Facebook, with 1.86 billion monthly regular users, is compiling massive databases of browser fingerprinting data. When very popular sites like that start collecting browser fingerprint data, the spectre of invisible internet tracking becomes very real. The more unique your browser, the easier it is to identify across sites. So, in this case, it doesn’t really pay to lock down your browser. On the other hand, surfing the web with an insecure browser is an extremely risky activity these days, so what’s the best solution? Since there is no feasible way to safely use the same browser to do both your private and public internet activities, the best protection against fingerprinting right now is to separate those two activities. Use one system or browser for your day to day activities and a separate one for your private activities. It’s best to go one step further and use an anonymity tool such as Whonix for your private activities to ensure an even larger separation between your private and public activities.Maintaining this separation will require good operational security. OpSec is the process of collecting large amounts of available information about someone that seems unrelated at first glance, but can be analyzed to provide some very specific information. A very obvious example is logging in to your Facebook account while using a privacy tool such as Tor. Once you’ve logged in, you’ve confirmed your identify without any need for an adversary to analyze your browser fingerprint. There is no end to OpSec blunders which can make the correlation of your public and private internet activities easier, but here are some starting points. Your private internet activities should never involve using any site that you also use in your public internet life. Account correlation, such as the Facebook example, will cut right through your privacy attempts. Your private activities should avoid composing messages. This protects against stylometric analysis. If it is not possible to avoid composing messages you should seek to change your writing style significantly. Use a completely different computer system that is permanently connected to an anonymity tool like Tor or a trusted VPN for your private activities. This helps prevent against inadvertent data leakage such as DNS queries or WebRTC requests. If you use a VPN for both your private and public internet activities, connect to a different VPN server for each type of activity. You may also want to use a VPN with Tor, in which case there are some VPNs that work better with Tor than others. Do not reuse usernames, email addresses, or any other account information from your public activities within your private activities. This protects against leaving an inadvertent trail of breadcrumbs such as the one that helped identify the owner of the illegal Silk Road marketplace. Separating your activities like this will not prevent either your public or private activities from being fingerprinted to some degree, but it can prevent the correlation between those two types of activities. An observer will probably be able to tell that the same person did those private activities, but be less able to tie that person to your public identity. 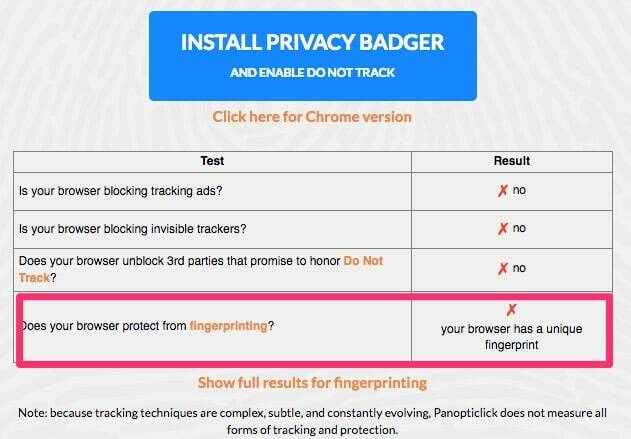 The GDPR and forthcoming ePrivacy Regulation will likely regulate browser fingerprinting, as well as other means of tracking users like cookies. The GDPR never mentions browser fingerprinting explicitly, but this is intentional; legislators have learned from past experience to keep rules neutral of any specific technology. The ePrivacy Regulation, on the other hand, does explicitly mention device fingerprints. The GDPR states any entity that processes personal data must prove they have a legitimate reason to do. Furthermore, the ePrivacy Directive that will likely come into effect in 2019 will require websites and apps gain users’ opt-in consent before tracking them. On top of that, businesses that fingerprint must allow users to see what information they collect as well as its scope, purpose, and legal basis. “Browser measurements of AmIUnique fingerprints with an example”. Pierre Laperdrix, Walter Rudametkin, Benoit Baudry. Beauty and the Beast: Diverting modern web browsers to build unique browser fingerprints. 37th IEEE Symposium on Security and Privacy (S&P 2016), May 2016, San Jose, United States. good article, thanks. sites are increasingly using canvas fingerprinting to deny access to their content based on iding the requesting computer/system. some browsers are more vulnerable than others. these sites admins are anti-internet-against the original intent and values of the net and deserve to be blacklisted in turn.